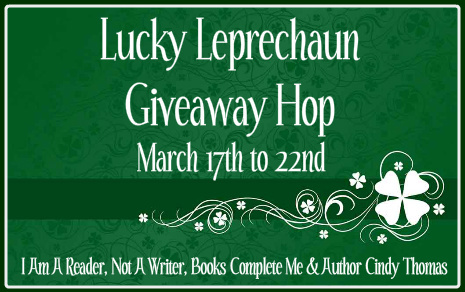 The Lucky Leprechaun Giveaway Hop is hosted by I Am A Reader, Not A Writer and Author Cindy Thomas, and Books Complete Me, and runs March 17-22. I’m giving away So I’m a Double Threat by Julie Prestsater. You can read my review here. 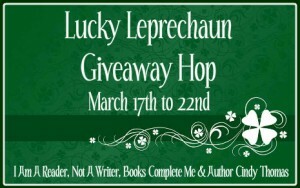 All these great blogs are giving away cool bookish stuff, too! This entry was posted in Giveaways by Amanda Beaty. Bookmark the permalink.